1975-1976: Clinical Assistant at the St. John’s Hospital for diseases οf the Skin. Institute of Dermatology – University of London. 1971-2011: Served each Academic level at the University of Athens from Senior Registrar through to Professor of Dermatology. 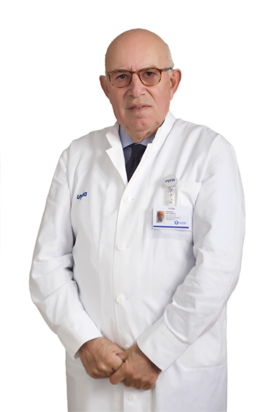 Hellenic Society of Dermatology and Venereology (HSDV) – 1997 – 2001/ 2003 – 2008 – Presiden (Secretary General for 6 terms. Last election: 1995). • International League of Dermatological Societies (ILDS). International Journal of Dermatology (Elsevier) since 2000. Journal of Cosmetic Dermatology. Advisory Committee member since 2001.